SmartStack is a converged infrastructure solution, or a fancy term for a combined datacentre in a very dense but powerful unit, lovingly built, just for you, by NG-IT. SmartStack combines best of breed server, networking and storage from Nimble Storage and Cisco with leading software vendors including VMware, Microsoft, Oracle and Citrix to provide a complete private pre-validated cloud infrastructure. Despite its density and fewer components, SmartStack delivers exceptional performance. 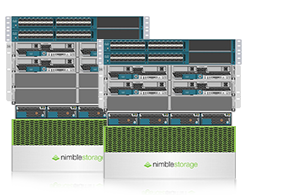 With Nimble’s CASL architecture delivering upto 350,000 IOPS from a single 4U array. With intuitive web based management, advanced analytics with proactive monitoring, automation and simplified configuration. Start small and grow when you need to. SmartStack infrastructure is completely scalable. Easily add more compute resource or increase your storage cache, IOPS or capacity. IT Infrastructure doesn’t have to break the bank. A SmartStack solution provides a complete datacentre solution for less than what you are paying today. Accelerate application deployment and time-to-value with pre-validated integrated infrastructure solutions. Support line of business IT requirements by optimizing application performance. Less staff time needed for configuration. Reduce your datacentre footprint typically by 50-70%. Scale in line with capacity and performance requirements. Lower upfront capital expenses (CapEx) by purchasing what you need today and scaling in line with changing business requirements. Reduce complexity with SmartStack unified integrated infrastructure. Reduce risk with pre-validated solutions. Lower operating expenses (OpEx) with unified management that enables your staff to focus on strategic initiatives. The densest Tier 1 converged infrastructure available, offering superb datacentre reductions in excess of 70%. Simple management, proactive wellness and insightful reporting makes the entire team more productive. Provision systems and services in minutes and achieve blistering performance with ultra-low latency for critical applications. NG-IT is the largest and most successful SmartStack and Nimble Storage Gold Partner in Europe. Not only have we been awarded the highest accolade from the industry’s leaders, including Cisco and VMWare, we have also invested heavily in our people to bring you the very best working relationship and technical consultancy there is to offer. Our people are industry veterans and some of the most experienced in the storage, virtualisation and converged infrastructure market. This means we are well equipped to understand the challenges your company faces every day in light of spiralling data requirements and the pressure this puts on business-critical applications. By working with you to understand and address these business challenges, NG-IT will build a SmartStack solution that will not only deliver high performance and availability, but also capacity and cost savings, efficient data protection, and improved staff productivity, while handling rapid growth. Want more information about NG-IT? Click here to visit the company website. 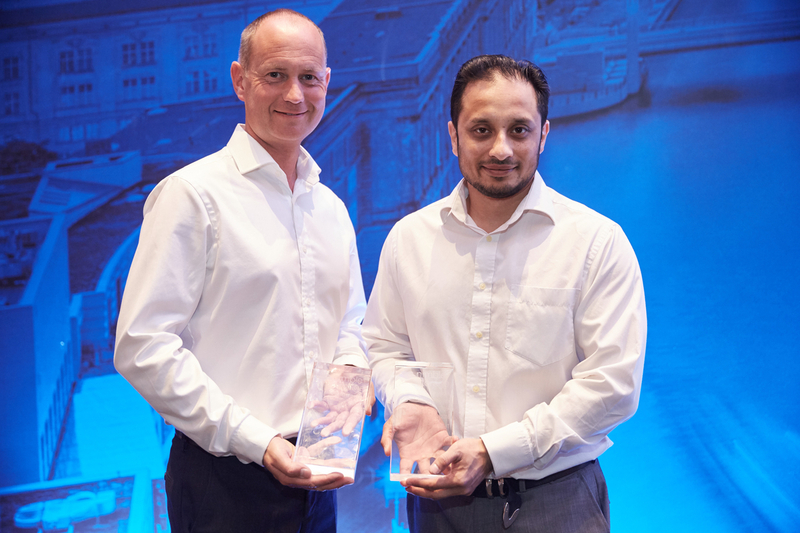 NG-IT has won 6 Nimble Storage awards in the last 3 years, including EMEA SmartStack Partner of the Year 3 years running. With SmartStack, meeting business criteria around service levels, costs and timing is easy.